Photo: Courtesy of Interscope Records. In a world constantly buzzing off the high of candy-coated pop, Robyn stands out as the anomaly. She has, rather wonderfully, managed to remain a paragon of what the genre can be. Her tongue-in-cheek lyrics, unique dance moves, and singular style have helped make her both a silent mainstay and the most underrated pop star of the past two decades. It wasn't until 2010's Body Talk trilogy that her meteor started to rise. It's been four years since she released new music, but that doesn't mean her star has fallen. Robyn just retreated from the spotlight because she doesn't need the headlines and applause to stay relevant. 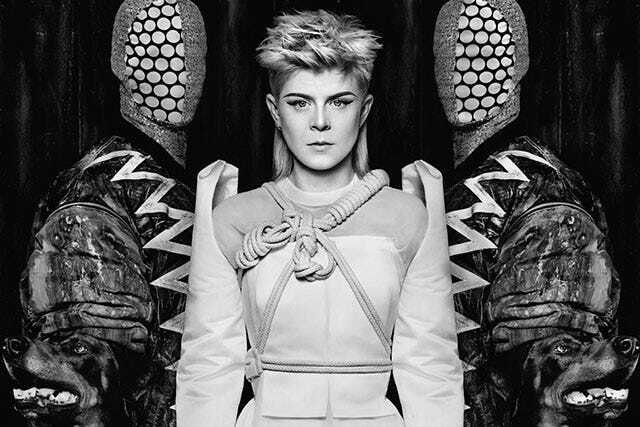 Do It Again, Robyn's mini album with Norwegian electro-duo Röyksopp is a testament to that. (It's streaming over at NPR in full right now.) For five tracks, Robyn and Röyksopp take the magic they made on 2009's "The Girl and the Robot" and milk it. The somber, reflective "Monument" fades into the deep house of the previously released "Sayit," before the album's thematic and literal climax "Do It Again." The parallels of Do It Again's title track to Body Talk don't go unnoticed, but who's complaining? Its double-entendre lyrics are delivered with a passion only Robyn knows how to put into pop music. Rolling Stone has called the relationship between Robyn and Röyksopp's Torbjørn Brundtland and Svein Berge "genuine and genuinely deep." In an interview with Pitchfork, the trio explained the album came out of a particularly wild night (though "wild" is a loose term as Robyn confessed most of the time they stayed indoors). "We just wanted to embark upon something that was unique to us," Berge said. "We tried to make it deliberately not sound like Robyn, or Röyksopp." Consequently, it does. And, that's a great thing because of how sincerely unique each artist's sound is. The 36-minute album will be the sleeper hit of the summer, whose effects won't vibrate through the industry until the fall. But, that's always been the case with Robyn. She says it herself in "Monument:" This will be a beacon when I'm gone. We don't deserve this album, but man, is it necessary for pop to progress.